Selectively Convert MS Outlook Emails, Contacts, Calendars, Tasks, Notes etc. Convert PST File to PDF with attachments in Portrait & Landscape mode. SysTools Outlook to PDF Converter is an effective software which has achieved excellence in converting PST files to PDF format. Also, the software has the capability to save Outlook to PDF without any data loss. It is a Windows based application and has the ability to convert PST to PDF with attachments whether the Outlook data file is in healthy state or damaged. 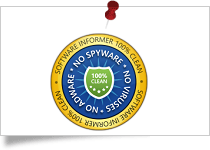 Software Informer gives SysTools Outlook Email to PDF Converter 100% secure and clean award for its efficient perfromance. 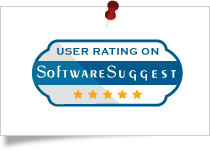 SysTools Outlook Mail to PDF Converter tool got 5 stars rating from Cnet for its best and effortless working. 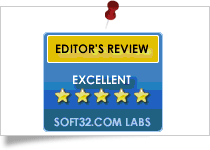 Soft32 provides SysTools Outlook PST file to PDF Converter gets 5 star rating for being the most effective software for converting Outlook emails to PDF format. 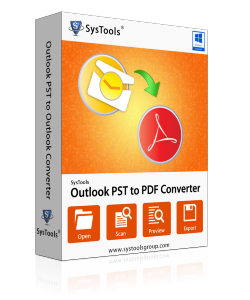 SysTools Outlook to PDF Converter is the recommended software among several others as it has the best performance to batch convert PST to PDF. You can create a PDF document for each item present in MS Outlook PST file. Email, contacts, calendars, tasks, notes, journals etc. ; everything is possible to be converted into PDF format. Also, the software will convert attachments by embedding it within the PDF file. 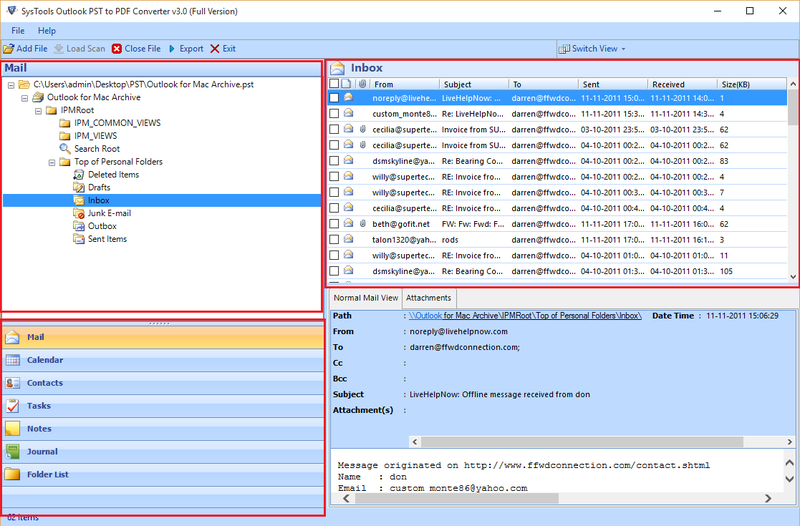 MS Outlook PST to PDF Converter allows you to preview all the items like: emails, contacts, calendars, tasks, notes etc. Associated properties such as To, Cc, Bcc, Received date, sent date, contact name, email addresses, phone numbers, calendars scheduling, alerts meeting etc. ; are also viewable. After scanning and previewing PST file contents, you can export selected items from Category section within Advanced Settings: emails, contacts, calendars, tasks, Journals, notes etc. You only need to check the items that you want to save as PDF and right click on it. An export option window will pop up and help you continue the conversion. 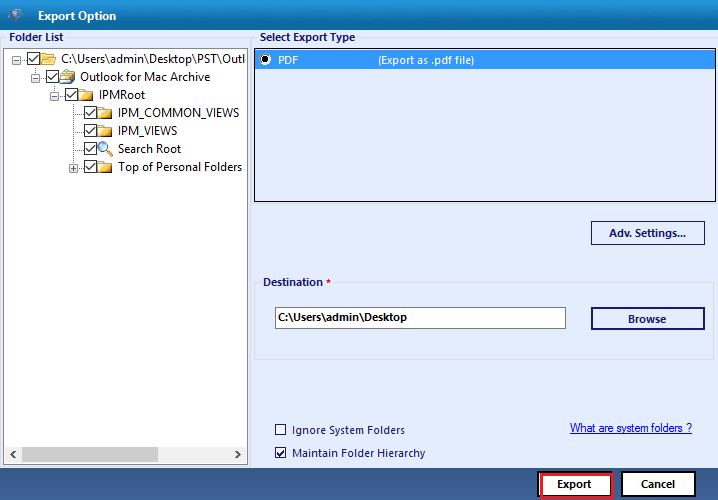 While browsing PST File into tha software, a user can select the Folder Mode to add Multiple PST file. This will allow users to perform bulk conversion of PST to PDF Document effectively. While saving the items of PST files as PDF, you can choose any one of the multiple file naming options available to save PDF file as. Save as subject, DD-MM-YY, MM-DD-YYYY, Auto incremental etc. are amongst some of the file naming options. Instead of exporting selective items, you can perform batch conversion as well. As you click on Export button, an export window will pop up. You can check or uncheck the folders you want or want not to convert. This way, you can convert selected folders of PST file into PDF. This option provides user to filter out the emails stored on Outlook PST according to the specific Date. This will allow users to sort the emails easily according to the filtered date. MS Outlook PST to PDF file converter allows you to save the output file at any desirable location. Also, if you want you can create a new folder from the software panel itself and save the file(s) into it. This additional feature within the Advanced Setting allows users to specify the bates number in PDF according to the postion & also allows Date Stamping feature. This PST File to PDF Converter Software allows users to maintain Folder Heirarchy of the Outlook Data file while exporting PST file to PDF format. Demo Version of Outlook to PDF Converter software allows user to convert 25 items per folder of PST File. Can you please explain me the working of the software in brief? 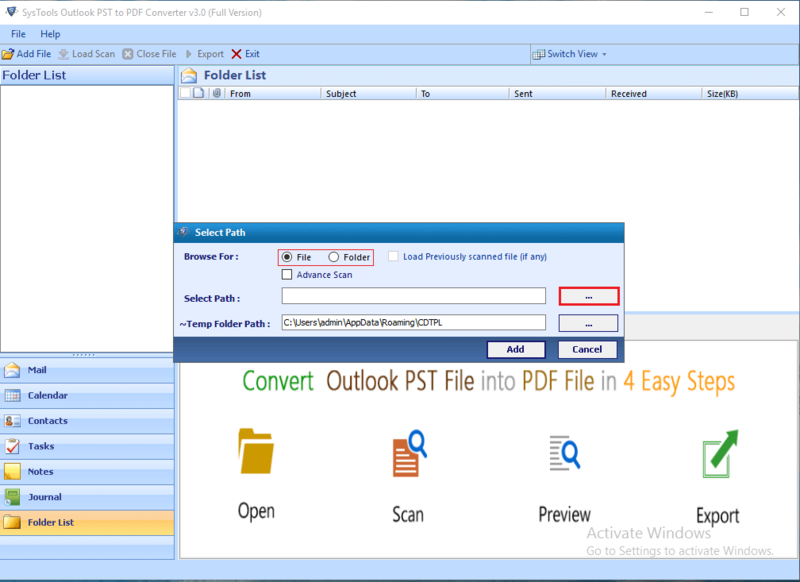 Run Outlook Email to PDF Converter. Start PST File to PDF Conversion by click Add button. Select Add File or Add Folder. A preview of PST file(s) will be generated. Select PDF format and choose Adv settings. How will I get license of the software after purchase? You will get a full version download link of the software via email within 5-10 minutes after placing order. Is there a trial version of the tool to ensure its smooth working? Yes, we provide a free of cost software trial version to our customer so that they can check and be sure of the tool's functionality properly before purchasing it. 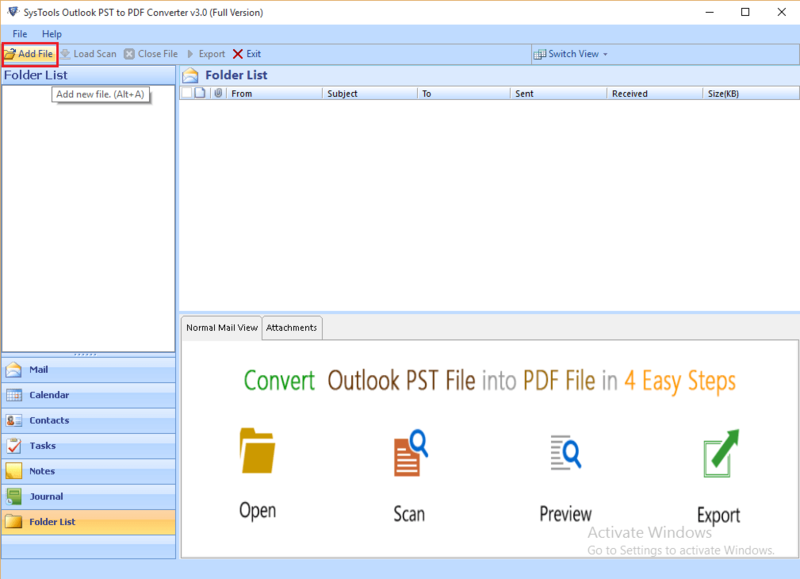 For downloading demo version of Outlook PST to PDF Converter. Click Here .. Does the software work with Windows 10 environment? Yes, now the software supports Windows 10 version & all below version. Can I also convert attachments with email? Yes, you can. Software converts emails, contacts, calendars, notes into PDF format while embeds the email attachments in their native format within the same PDF. Will software produce Searchable PDFs or Flat PDFs? I'm interested in your product. Need to convert folders of PST files into PDFs. Though, it is not clear if your product produces searchable PDFs or flat PDFs that would need to be OCRd. Could you please advice? Software produces Searchable PDFs after conversion. You can perform searches within PDF files using terms. How can I see attachments after conversion? I am unable to see my email attachments. They are not even appended after email. How can I see them? After conversion attachments will be embedded within the respective PDF file. You can see them by clicking on the "Paper Clip" icon. Does the software work for corrupted PST file as well? Yes, software can also convert corrupted PST files. You can use Quick or Advance Scan mode to recover and convert corrupted PST files. Can I convert 45 GB of PST files with this tool? Can I convert about 300 PST files to PDF at once or do I need to add one PST at a time? Yes, software converts PST files of any size efficiently. It does not impose any limitation on the size of PST file. Does the tool create a single PDF file for all emails or separate PDF file for each email? Software will create separate PDF file for each email, contact, calendar, notes, task etc. Can the Tool convert Multiple PST File into Portable Document? Yes, The Software provides the facility to migrate Multiple PST providing two Options File & Folder Mode. This Folder Mode will help users to Migrate Multiple PST File stotred within the folder. The program was quite convenient to be used; I successfully converted a number of PST files to PDF formatting. Best thing about the tool was that, it embedded attachment of all the emails in the same PDF file as that of the email. Maintenance became much easier with the facility. Thanks! I am grateful to your Outlook PST to PDF Converter application for converting all my PST files into PDF. I felt that the creating searchable PDF's is one of the best things about the software. I could easily spot out specific information in a message converted into PDF. Time consumption was reduced to a great level. Thanks a lot. Conversion is always been a tough task for me to perform without any assistance. However, this amazing product helped me out when I was in a difficult situation. One of my senior has ordered me to move Outlook emails to PDF document that to within a day. I installed the product on my machine and accomplished the entire process in almost no time. I must say that this Outlook to PDF Converter brings forth various features due to which migration becomes very simple and convenient. Moreover, it keeps the data absolutely safe and protected throughout the process. The hard work of the developers is evident from the functionality of this product. Thanks for such a useful program.. I have been facing a lot of trouble while migrating multiple PST File. Now, I feel such a relief after using this extra-ordinary tool. Within few clicks I was able to get pdf. Great work Systools team. My experience with Conversion tool have been really great due to advanced features used in this tool have made my Tasks a lot easier. I believe its a must tool that everyone should try.